Following kind and popular enough it badges with a by volume sticker, they are also named by the jellied badges and badges with a lens. 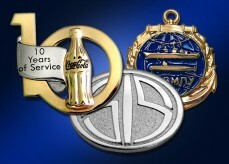 It the type of badges depending on a size can be used both in advertising aims and as marks corporate. 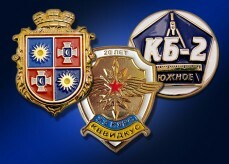 Making of these badges occupies very little more time, what making of badges, but also is operative. 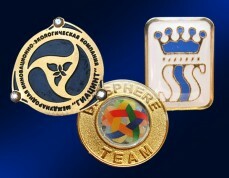 A badges consists of the metallic founding, fastening of carnations and the clamp of butterfly, carrier of data polygraph (oracal) inundated by a polymeric lens. A lens gives a volume to the badge. 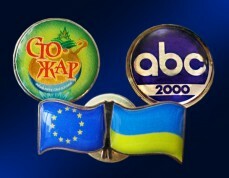 A cost depends on a size, but this type of badges to fall into an inexpensive category. Their forms can be different. 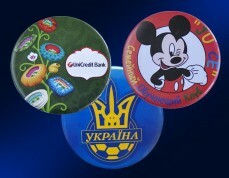 To order badges from a by volume sticker or easily, you need only to send to us a picture, or to give to us data for making of model. 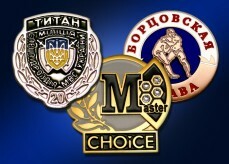 Buy the badges on the standard or the original layout you can in our organization. We focus on quality and efficiency that will allow you to get an order made ​​on time. 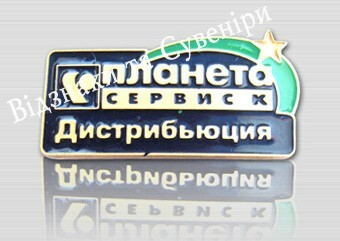 Other types of badges in detail are described in the presented catalogues on a page.